Spring season welcomes everyone, unfortunately, this includes pests. Warmer days call everyone to go out but as we do so, we must keep our homes protected from pest invasions. Read more below on what kind of pests you should worry about this season. Gone are the days of snow and cold air, but with the warmer weather with us, mosquitos also celebrate. Spring marks the start of mosquito season so you better make sure that you are protected! Buy mosquito repellants, whether natural or chemicals or creams for your body. Arguably, one of the most destructive kinds of pests out there, termites can do a lot of damage in a home’s infrastructure if left unprotected. As they are usually hidden in the ground, wooden furniture, or stacks of old paper, it is best to err on the side of caution and put preventative pest solutions in your home. Warmer weather is an invitation to pests, especially ticks, to come out in the open. You may be inclined to go on an adventure out in the woods because of the perfect weather but be sure to check yourself before going home as ticks might be on your clothing or belongings. As we get deeper into Spring season, make sure that your home is protected to any kind of pest invasion. Lola’s Landscaping offers lawn care solutions including pest control in and out of your house. Let us help you get your home protected this season, call us now or head on over to our website to learn more! If you’re someone dealing with unwanted visitors in your home (predictably the kind with antennas, fur, and/or many legs) you might be tempted to do some quick searching on the matter. You hear it often: don’t believe everything you read on the internet and, its good advice. 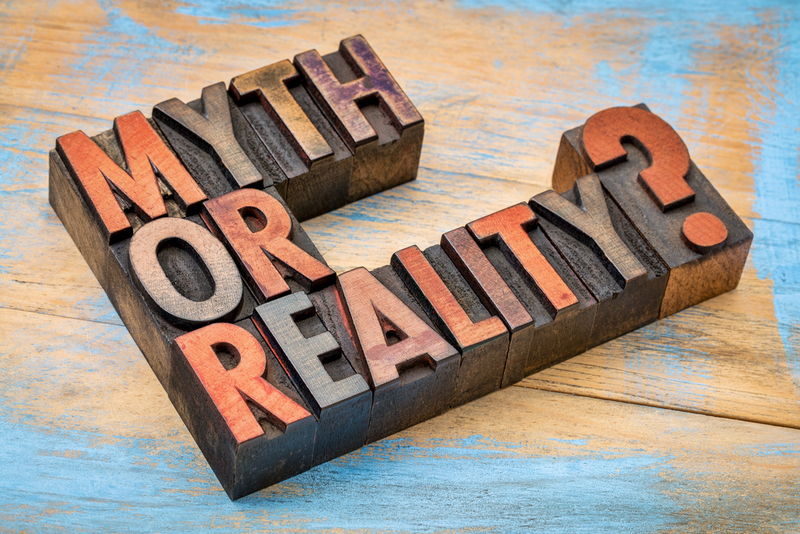 With so much false information floating around, it’s easy to be misled into believing some of the following pest control myths. First, let’s get something clear-mice are highly intelligent rodents. Some people even believe they could have the same thinking capacities as dogs! If you see a mouse in your home, it’s time to call in a professional; mice do not live alone. Many people believe that strong smelling soap is a natural deterrent for mice. Could this technique really work on an intelligent and crafty animal like this? Turns out you won’t have to spare that last bar of Irish Spring after all as this is just another one of those internet urban legends. The most effective way to keep mice away is to make sure they have no access to your food. It’s also important to block and seal points of entry-this includes any spaces around the wall panels and cracks in the walls or flooring. For people with children and animals in the home, it’s more than reasonable to be wary of chemicals. Exterminators understand and share these concerns-it’s why they do their best to get the job done with the least amount of toxic substances. There are many options exterminators can choose from to stop pests from coming into your home. To ensure safety and health concerns, they will choose the best option based on your unique situation. This may include setting traps, blocking pest entryways, or targeting very specific areas for treatment. Everyone has that one person in their family-the one that insists on doing everything themselves in order to save money (and to score some bragging rights). However, pest control is an important area of work to leave to the professionals. Missing an important step or piece to the puzzle could mean serious damage to your house or health. Pest control experts have important knowledge on the animals and insects invading your home. Not only can they spot the differences in types of animals and insects, but they know their behaviors and habitats. Hopefully, these busted myths will help you in dealing with any pest control issues you may have. The most valuable advice is to always refer to a pest control specialist. If you have further questions or uncertainties: give your local pest control business a call. Spring has arrived and we need all the help we could get! 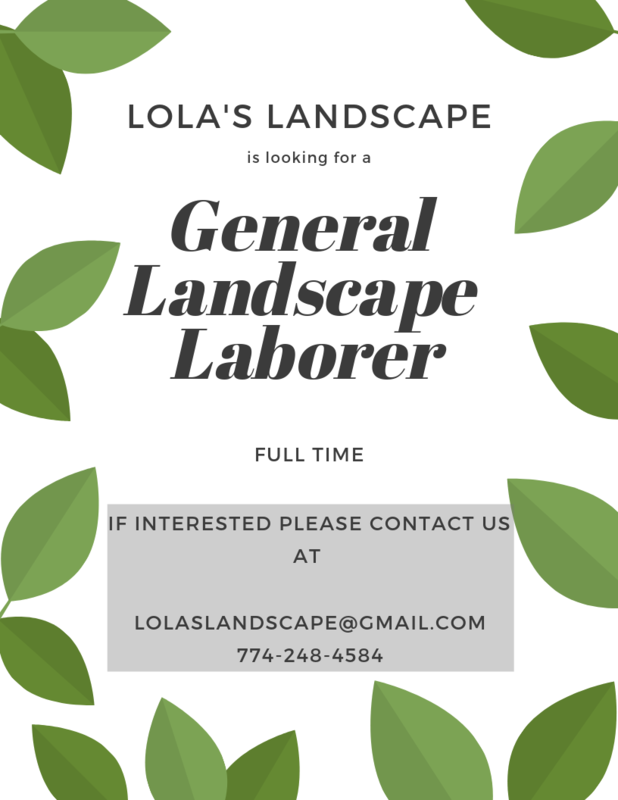 Lola’s Landscaping is looking to expand its team by adding full-time general landscape laborers. If you are interested in applying, please contact us through our email or through our phone! We are excited to meet you and have you join us in our awesome team! It is no secret that maintaining a lawn isn’t that easy. Most people, especially if you don’t have a green thumb, would just rather stray away from maintaining their lawn before they ruin it. But maybe you’re just following some wrong information and misconceptions about landscaping, leading to you being unsuccessful in maintaining your lawn. Read more about the common myths and misconceptions associated with landscaping below. People have this misconception that spring time is the best time to plant seeds. It may not be wrong, but this is not entirely true. Not all plants should be planted during this season as they can adapt more to the weather and temperature during the fall season. We all need water to survive but another misconception that we want to straighten is about new plants. New plants don’t necessarily need more amounts of water than the not-so-new ones. Overwatering plants would actually bring more damage than help to these new plants. A common misconception is that grass clippings should be removed after mowing your lawn. These clippings are mostly just water and don’t take much time to decompose. Clippings actually benefit your lawn since it helps your fertilizers even more. Cutting your grass short would seem a pretty good idea to make it low-maintenance. But this is entirely a misconception. The shorter the grass, the faster it grows. This means that dialing down to the lowest setting will actually increase the amount of maintenance your lawn requires. The ideal height for most lawns is about two to three inches. It’s common sense, right? Heat + water = evaporation. When you water your lawn during the day, more water would evaporate rather than get absorbed by your lawn. Hence, you water your lawn at night. This is actually much worse since watering it at night would increase the risk of mold and mildew as the water sits on your lawn for more than long enough and may also lead to more disease. Landscaping is hard for anybody, which is why leaving it to the professionals like Lola’s Landscaping would be better! Our team of experts are highly trained and can provide you with different solutions for all your landscaping needs. Call us now or visit our website to learn more. No matter how you slice it, home renovations are stressful. During almost every project, at least one thing doesn’t go according to plan, leading to issues for homeowners and contractors alike. Selecting the best contractor to oversee your next project, however major or minor it may be, is absolutely critical to making sure you have a positive experience. As you continue reading this article, you will discover five important steps you can take to find the ideal general contractor for you. Good contractors have valid credentials. This means they carry the necessary business licenses for the area in which they operate, they have all of the correct insurance policies, and they are actually certified in any specializations they claim to have. If a specific contractor’s credentials don’t measure up, he or she shouldn’t even make it onto your shortlist. Sometimes, especially if you’ve narrowed it down to just a couple of options, getting referrals from people you trust can be the deciding factor in which contractor you actually hire. Knowing that your friends and family trust a particular professional is likely to sway you in his or her direction for good reason. Therefore, you should never hesitate to ask around for recommendations. Even though you’re probably chomping at the bit for your renovation to get going, conducting research ahead of time is extremely important for multiple reasons. Not only will it allow you to see what kinds of reviews other people in your area are leaving about the contractors you’re considering, but it will give you the opportunity to find out if any of the professionals have areas of specialization that will be beneficial during your remodeling job. As people become more aware of the negative impact that construction and home renovation can have on the natural environment, many of them are making a concerted effort to use green building materials. If this is a priority for you, make sure you find a local contractor who shares your concern about sustainability. All quality contractors maintain portfolios of their work. It doesn’t matter if the gallery is online or in a traditional paper format as long as it showcases projects you love. 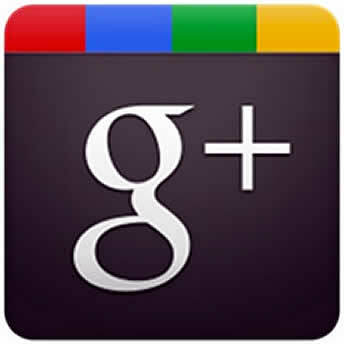 Furthermore, reputable professionals are always willing to answer questions about their past jobs openly and honestly. Don’t hire anyone who is cagey with his or her responses to legitimate inquiries. As all the leaves fall from the trees and we finish fall cleanups, our thoughts naturally turn to winter and the coming snowfall. Ice and snow bring with them their own separate cleanup demands, but prevention is just as important as cleaning up after the snow hits the ground. Whether you own a business with a parking lot and sidewalk that requires maintenance, or your residential driveway is in need of some attention, Lola’s Landscape provides winter cleanup services to fit your needs. Salting and sanding any paved areas you have will go a long way towards keeping you and others safe. Ice accumulation on pavement is extremely slippery, and can be a hazard for your home or business. There are also liability issues that go along with failing to properly clear your public surfaces of snow and ice, and no one wants to deal with a personal injury lawsuit. Salting your parking lot and sidewalk helps prevent ice from forming in the first place, as well as melting ice that has already formed. This will keep customers, employees, and yourself safe as more intense winter weather approaches New England. Sand does not melt any ice, but does provide extra traction for tires and shoes as people move around. These two services together help provide the best environment for foot and car traffic, and gives you peace of mind. One heavy snowfall can make any snow removal job seem overwhelming, but Lola’s is here to help! We offer snow blowing, plowing, and shoveling services to quickly clean up accumulated snow that makes getting in and out of your home or business a hassle. We can clear any walkways, stairs, decks, driveways, parking lots, porches, or yards that need attention. Snow plowing and removal is critical to maintaining a functional business and being able to safely get in and out of your home. Removing this snow can be time consuming and difficult, so we offer emergency snow removal. Lola’s will come plow your driveway or business parking lot in the middle of the night so you have a clear path to work in the morning, or your employees have somewhere to park. We take the stress and hassle out of any snow removal and winter preparedness job so you can go about your day without disruption. Our team is standing by to help you with any winter cleanup job you need! Call Adam at 774-248-4584 or contact us online to schedule your winter service today. Many homeowners can attest to the natural beauty that their trees add to their property. When trees begin to die, however, they can become a danger to both you, your neighbors, and your home and vehicle. Common signs of root damage you can observe first hand are undersized leaves and thinning foliage. An arborist can help make the call as to whether the damage is fixable, or if the tree needs to go. Unfortunately, root damage is very common, especially as a result of construction. If your home is fairly new, it’s possible that the tree’s roots underwent repeated compacting effect even as various trucks attempted to avoid damaging the tree itself. The East Coast has dealing with several different tree pests and diseases that have been ravaging forests lately. The Emerald Ash Borer is a pest of epic proportions, having killed more than 50 million ash trees in America since 2002. These insects drill into the trees, feeding on the wood and ultimately killing the tree. After infection, trees die within a handful of years—and one of the tell-tale signs is a dead crown (the top of the tree, which is usually the healthiest part). Dead crowns can also be a sign of other serious problems, such as drought and bad soil composition. No matter the cause, these trees need to be removed right away. You may remember childhood tales of the fairy ring, when mushrooms grow in a circle where the fairies have danced. There’s nothing cute about fungal growth on your trees, though. Mushrooms growing directly on your tree or next to the roots can indicate that your tree is rotting—fungus feeds on decay. A tree specialist can help you determine if the tree can be treated, or the damage is too extensive to be fixed. In a forest, trees tend to grow straight up. In a yard with little competition for the sun’s light, however, trees tend to spread out more. This can contribute to an overburdened canopy that actually weakens your tree’s overall structure—these are often the first trees to lose heavy limbs during a storm. A tree specialist can advise you as to whether these trees are likely to be a hazard, or if they can be proactively pruned in order to encourage safer and healthier growth. Trees can be a valuable addition to your property, but it’s important to remember that, at the end of the day, they are living structures and require care and upkeep just like anything else. A professional tree inspection from Lola’s Landsacpe can help you make sure your trees are around for many years to come. Slice Seeding: Fully revive your damaged or weak lawn with our targeted seeding techniques. Soil Aeration: Opening up your lawn’s soil to sunlight, air, water and nutrients is critical for plant growth. Tree Chipping: Chopped up limbs and branches get blown into the back of our enclosed truck for a mess-less removal. Monthly Weeding: Weeds destroy the look and health of your lawn, so it’s important to remove them as soon as possible. Landscaping Gifts for Father’s Day! Landscaping Packages: Want to remove all the burden of yard work? Gift your loved ones a landscaping package from Lola’s. Take away all the burden of recurring yard work with our package deals. These are a favorite of our customers who keep coming back season after season. Patio’s & Walkways: One of the most enjoyable aspects of owning a home is relaxing outside on a beautiful patio. We can incorporate fire pits into the design to give you a perfect place to entertain guests or relax by yourself. A brand new patio for your parents will surely make you your parents favorite child this summer! Tree & Shrub Care: Does your parents property have beautiful trees and shrubs they wish to maintain? Our 6 Step tree and shrub care plan would be a great gift. View a gallery of some of our work and let us know how we can help! Interested in any of our services for your parents? Get in touch today and we’ll get a quote out to you! Mosquito & Tick Control: Lola’s Landscape has a 6 step spray process to reduce or eliminate mosquito’s and ticks in your Norfolk Property. The spraying starts in April and goes until the end of summer. If you have children, pets, or just spend a lot of time of your property this mosquito and tick spray is a great idea. Norfolk County is a heavily wooded area, don’t leave anything up to chance. Flea, Tick, & Ant Control: This is another perfect service for those Norfolk homeowners who have children and pets. If you have a dog who spends a lot of time running around your property and woods then you’ll want to do everything you can to eliminate fleas. This process only takes about 20 minutes, and we come back about 6 times throughout the Spring and Summer. Tree Spraying: Do you have pests that destroy your landscapes trees and other plants? Then our tree spraying service is perfect for you. We have preventative solutions, to stop these insects from coming in the first place. We also provide a solution if your property has already been inundated with destructive insects. Ready to put these pests to rest? Contact Lola’s Landscape today. Proudly serving the Norfolk County!